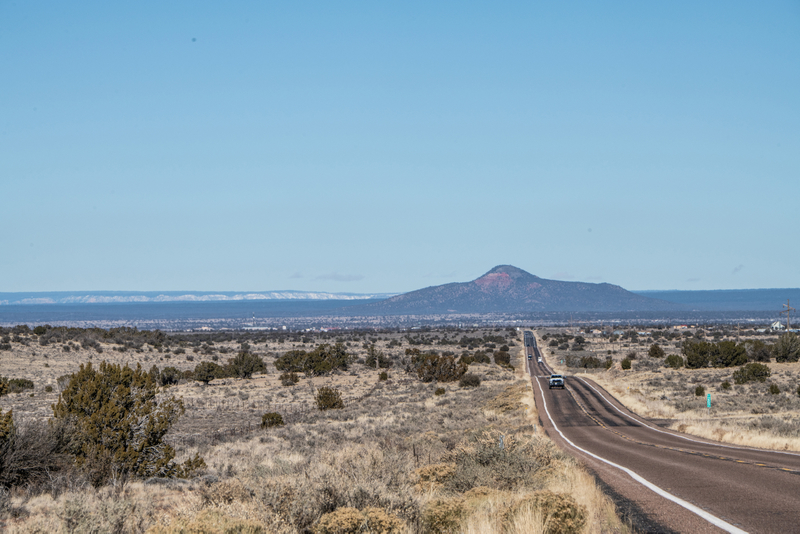 U.S. Department of Agriculture (USDA) Forest Service (USFS) Kaibab National Forest Red Butte Mountain, seen from Arizona Highway 64, in Arizona, on Dec 3, 2018. The Grand Canyon can be seen on the left. Photo by Forest Service, USDA.